HUOJIANCUN, China — The line to quit stretched the length of a football field. “Usually we had 80 to 90 extra hours” per month, said Zhang Zhi, 25, who had worked two years at the factory but was now standing in the quitting line. Starting in late October, her supervisors started sending her home early and giving her two-day weekends, eating into her overtime. In December, her pay totaled about $370, roughly half what she had made in the busiest months. Today, China’s consumers have grown more reluctant to spend, and many of the workers who depend on them have been hit. Lower demand for consumer goods has led to job losses and shrinking paychecks. That is worsening China’s economic slowdown, which has posed a major challenge for Beijing and could put it at a disadvantage in the trade war with President Trump. 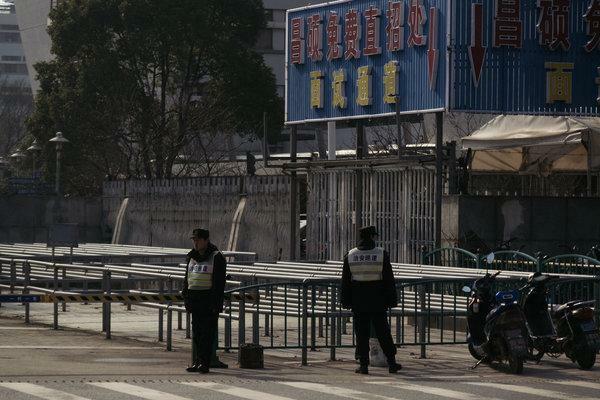 In the Chinese city of Zhengzhou, employment at a vast factory that makes iPhones has fallen to about 70,000 from the already low pre-Lunar New Year level of more than 100,000 a year ago, according to China Labor Watch, which tracks working conditions and speaks to workers in China. The Changshuo plant is owned by Pegatron, a Taiwanese contract assembler. Its shares have lost nearly a quarter of their value since the summer as the trade war with the United States mounted and as skepticism grew about the appeal of Apple’s latest iPhone models, which were released in September. Mr. Wang said he had found a new job, one that gave him more hours to pad his paycheck. Previous PostPrevious Trilobites: You Flushed the Toilet. They Made Some Bricks.